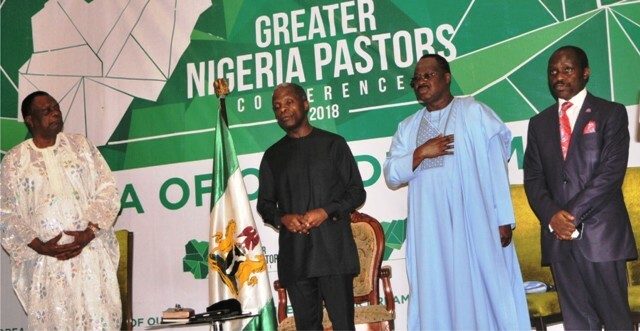 L-R: Retired General Evangelist, Christ Apostolic Church, Pastor Kayode Abiara, Vice President Yemi Osinbajo, Governor Abiola Ajimobi of Oyo State and Chairman, Oyo State Pentecostal Fellowship of Nigeria, Pastor Victor Adelakun, during the Greater Nigeria Pastors Conference in Ibadan, last Friday. The Enugu State Executive Council (EXCO) has approved the sum of N2, 572,686,367 for an immediate construction of new classroom blocks and renovation of dilapidated structures in both primary and junior secondary schools in the state under the state’s Universal Basic Education Board (ENSUBEB), totaling 208 in number. According to the Commissioner for Education, Prof. Uche Eze, the approval was to improve the standard of education and also create conducive learning environment for the pupils. This desire, he explained, also informed the procurement of classroom plastic chairs and desks, white boards and sporting equipment for schools in the state. 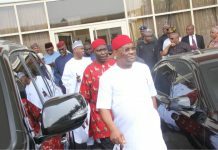 Eze further disclosed that the council in keeping with the four-point agenda of the Ifeanyi Ugwuanyi administration had also approved N271 million as bailout for the Enugu State University of Science and Technology (ESUT) to offset the seven months monetization arrears owed its workers. He also stated that the council in its determination to ensure a speedy relocation of the Enugu State College of Education, Technical from its temporary site in Enugu to the permanent site in Ihe, Awgu Local Government Area, equally approved the sum of N14.6 million for the clearing of the site, erection of perimeter fence and creation of access road in the new site. Also briefing newsmen, the Commissioner for Works and Infrastructure, Mr. Greg Nnaji, announced that the state government had extended the newly flagged off 4-kilometer Nkwo Inyi-Akpugoeze-Anambra State border road, phase one, by two kilometers. 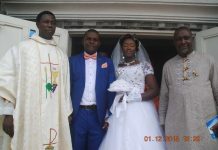 According to him, the contract was awarded to the same construction company handling the initial contract, Ambeez Services Ltd, at the cost of N326.6 million. This is in addition to the contract for the installation of solar powered lights.